And suddenly, the Ferrari California T was dead. 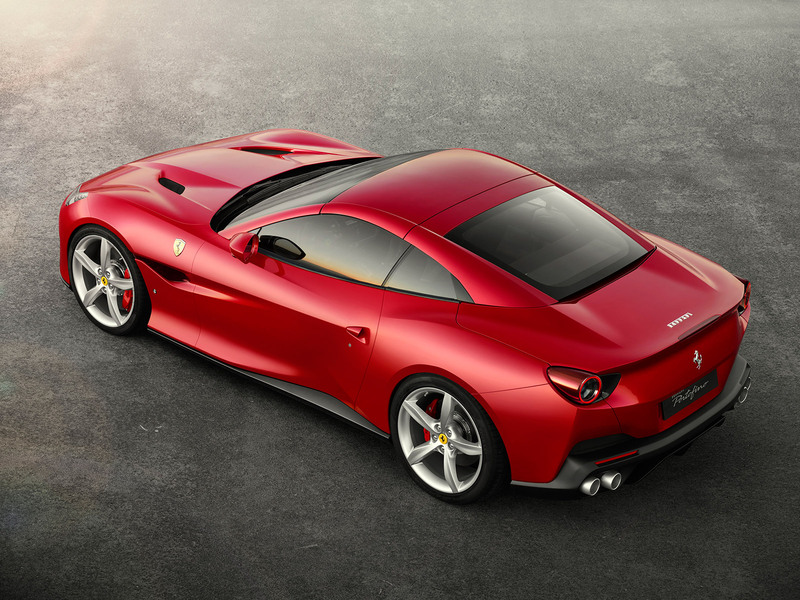 As of Wednesday morning, Maranello's entry-level sports car-slash-roadster-slash-gran turismo has been replaced with a new model called the Ferrari Portofino—a car packing more horsepower and visual firepower than the occasionally-maligned, often-disrespected F-car it replaces. 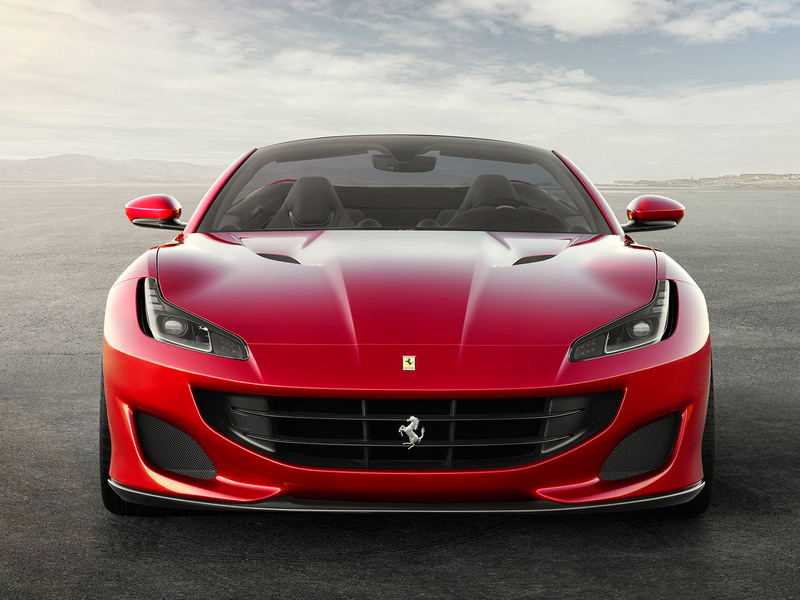 The Ferrari Portofino—which takes its name from a famous seaside resort town in its home country—uses the same 3.9-liter V-8 found in its predecessor and the Ferrari 488 GTB/Spider. In the Portofino, the twin-turbo firecracker is dialed up to 600 metric horsepower at 7,500 rpm—which works out to 592 ponies here in 'Murica. 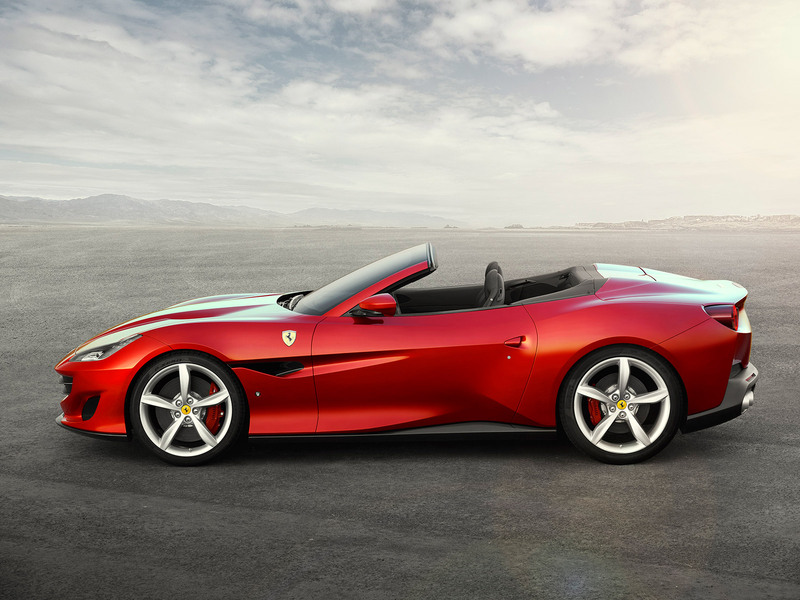 Torque sits at 561 pound-feet, up a humble four from the Cali T. As Ferrari's press release made no mention of the transmission, we at The Drive feel safe in assuming the Portofino uses the same seven-speed dual-clutch 'box found in every other modern Ferrari. The 0-62 mph dash takes a claimed 3.5 seconds, which seems utterly reasonable in our book. All that power is shunted to the rear wheels through the latest version of Ferrari's electronic limited-slip differential, known in Maranello parlance as E-Diff3. 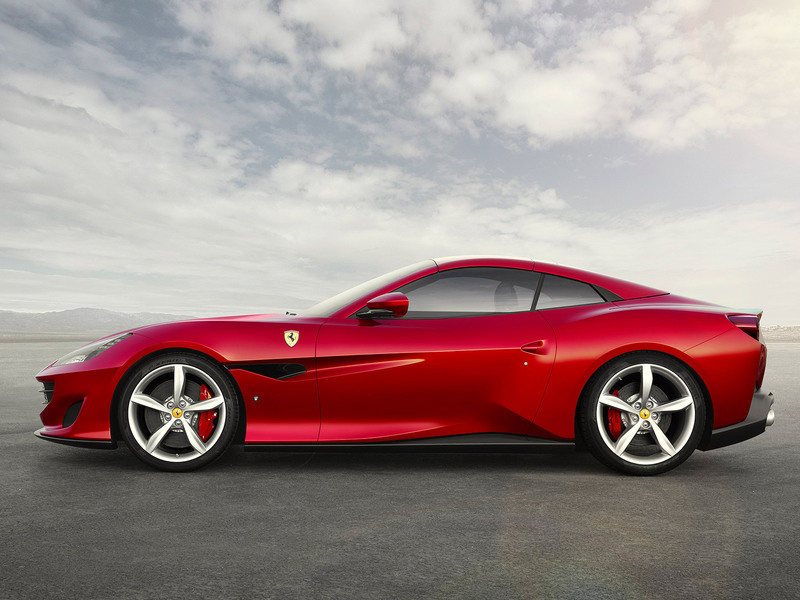 The Portofino also becomes the second car in the company's lineup to gain electronic power steering; as in the 812 Superfast, the new system is designed to work in concert with the differential and the car's slew of other electronic driver aids to help drivers squeeze even more out of this speed machine's capable chassis and potent powerplant. But while the mechanical and electronic tweaks are appreciated, it's the Portofino's appearance that will make or break it in the fashion-forward boulevardier segment where it'll compete against the likes of Mercedes-Benz SL-Classes and Bentley Continental GTCs. 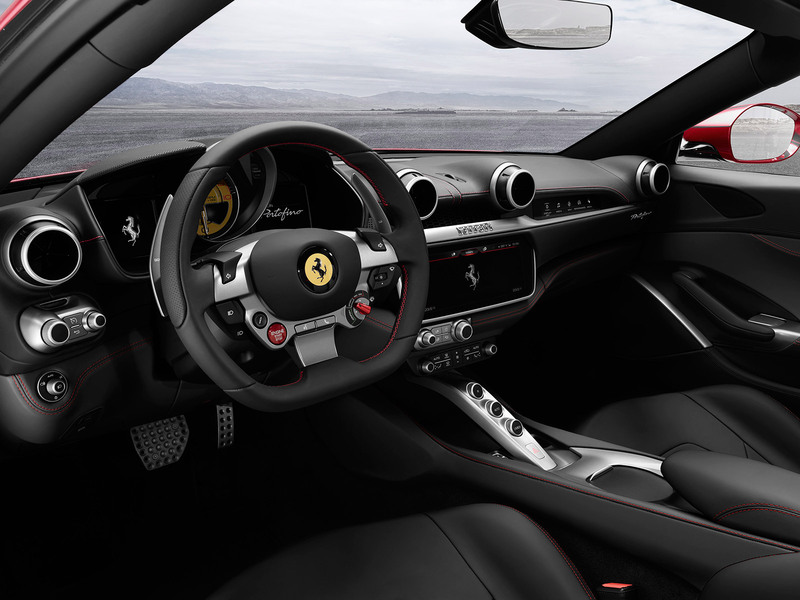 The in-house-penned design takes after the company's other two front-engined supercars, the aforementioned 812 Superfast and the GTC4Lusso; the headlights are stretched into a familiar swoosh, while the air that flows in through the intakes hidden alongside them exits through the deep-set channels behind the front wheels, helping to reduce drag. The chunky rear, with its high belt line, sleek buttress-like C-pillars, and twin tail lamps, brings to mind nothing so much as the 599 GTB of the not-so-distant past. Inside, the biggest news is one that would likely see Enzo himself turning 7,500 rpm in his grave: a new 10.2-inch touchscreen infotainment display mounted in the center of the dashboard. Luckily, there's still a big analog tachometer front and center in the instrument panel. A new wind deflector and a revised climate control system ought to make life more comfortable for the occupants, while the poor souls crammed into the plus-two "seats" in back will appreciate the added legroom brought about by a new front seatback design. 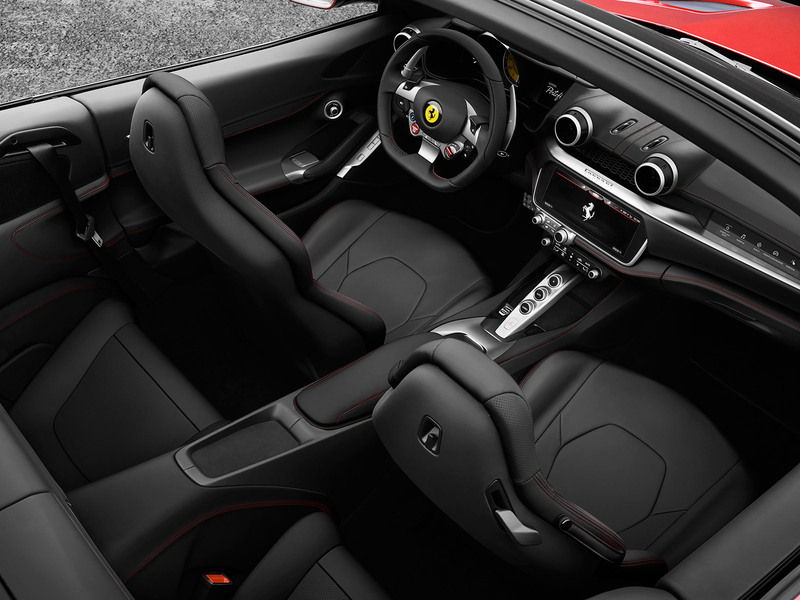 And the passenger's side also picks up a secondary instrument panel, like the one found in the other front-engined Ferraris—the better for terrifying whoever's riding shotgun my dear. As is tradition, Ferrari didn't announce how much its new car will cost. Given the California T started at a hair over $200,000, we expect the Portofino to start for a few dollars more...but like with most new F-cars, don't expect to see many roll out of the factory without tens of thousands of dollars of add-ons. You can see it in the flesh at the Frankfurt Motor Show next month, should you be so inclined.